Today’s guest post is from Corey Pemberton – Enjoy! Small businesses can’t match the marketing budgets of mega-corporations like Apple or Coca-Cola. But maybe they don’t have to. They have another weapon in their arsenal that can help them level the playing field and stand out from competitors: storytelling. You can use storytelling to get your target customers’ attention and resonate with them on an emotional level. It works in every niche because it relies on human psychology instead of gimmicks. Most businesses have spent a lot of time and money developing quality products or services. They’re understandably proud of what they’ve created. This creates a tendency to discuss what they’re selling at length. But potential customers aren’t interested in your product or service taking center stage. They’re only interested in hearing about what you’re selling in a limited context: what it can do for them. Choose the customer as the hero instead. Framing the story from their perspective helps you focus on what’s most compelling. It’s relatable because your marketing starts to sound exactly like the conversations already taking place in their heads. Worrying about Middle Earth keeps us reading The Lord of the Rings. We keep watching The Devil Wears Prada to see if Anne Hathaway will ever stop suffering at the hands of her crazy boss. Your agonizing decision between a ham or turkey sandwich, on the other hand, probably isn’t compelling enough to keep people interested. The stakes aren’t high enough. A lot of your ideal customers are in a comfort zone of non-action. Many don’t even realize how much better their lives could be with your product or service in them. What would happen if the “heroes” of your marketing stories don’t become customers? What if they do? Make the stakes clear, and spell them out early on. By doing so, you give people a reason to keep listening—and encourage more to become buyers. Great storytellers pepper their stories with sensory details that spark the imagination; we feel like we’re really there, right in the middle of the action. You can do this with your marketing too. Invoking the five senses paints a mental picture in people’s minds and gets them receptive to what you have to say. 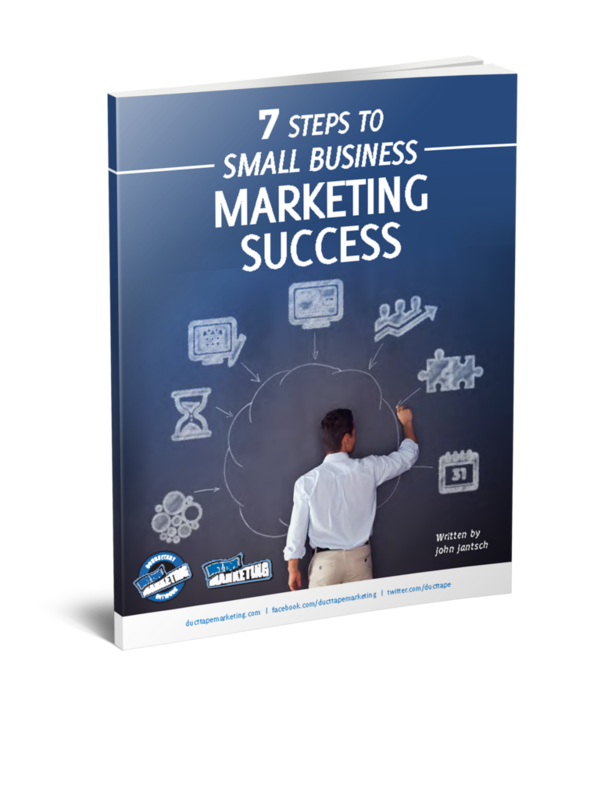 A lot of businesses get bogged down marketing on strictly a logical level. That has a time and place, but it can bore people to tears if you don’t create an emotional connection first. Use descriptive language and imagery to get your target customers seeing, feeling, hearing, smelling, and tasting how different their lives would be with your product or service. Then support that with logical selling points like features and technical specifications. Do you think Saving Private Ryan would have been better if it started with a thirty-minute introduction about the history of the Third Reich? Me neither. The movie grabs you from the start by dropping you right in the middle of the action: soldiers storming the Normandy beaches. You have only a few seconds to capture someone’s interest. If you don’t, they’ll find one of your competitors instead. What do your customers care about the most? What keeps them up at night? Lead with your strongest points—ones that shake them on an emotional level. Those answers might work for corporations with huge marketing budgets. But they aren’t helpful for smaller businesses looking for an immediate return on investment. It helps to start with the end in mind. For every marketing material you create, what concrete action do you want someone to take after engaging with it? It could be joining your email list, scheduling a consultation, trying your software, etc. Understanding where you’re going, hones your focus; it keeps you from rambling and losing valuable attention. 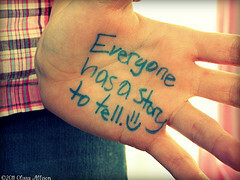 So, how do you use storytelling in your marketing strategy? Corey Pemberton is a copywriter and blogger for hire. He uses storytelling strategies to help small businesses and software startups get more leads and customers online. Feel free to stop by his website or say hello on Twitter.